We were invited to our friends’ house for Sunday lunch yesterday and I volunteered to make a dessert; what I didn’t expect was to have such a late night on Friday that Saturday was essentially a write off apart from ordering Papa John’s Pizza at 2pm. 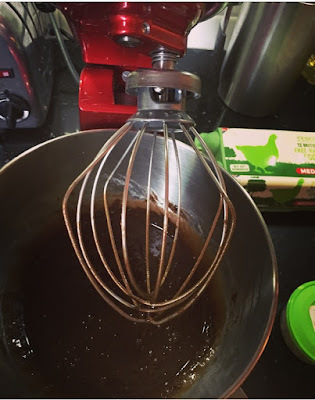 So yesterday morning I woke up and suddenly panicked that I had not prepared to make anything. 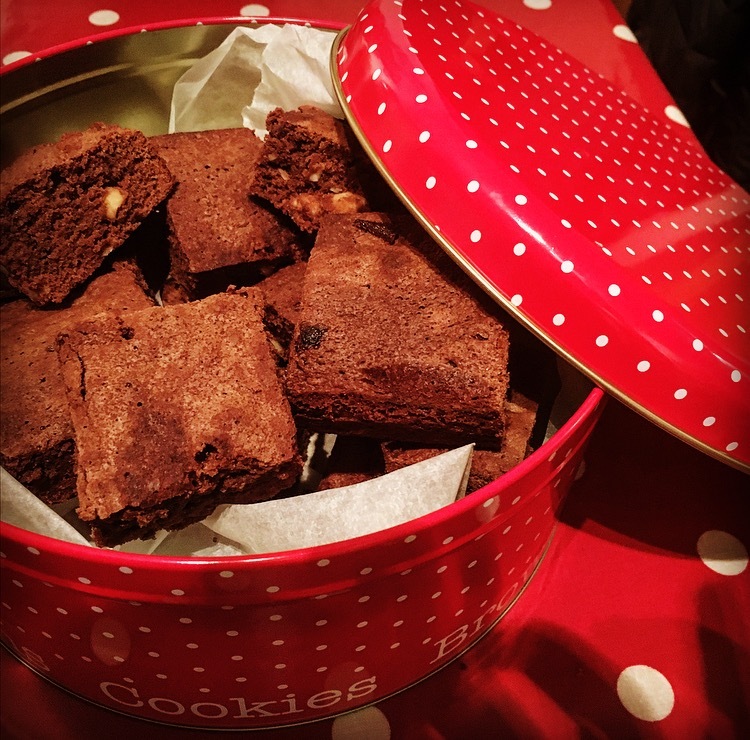 I scanned my baking cupboards and had a brainwave; chocolate brownies – tasty and quick, they would be ideal served with some ice cream. 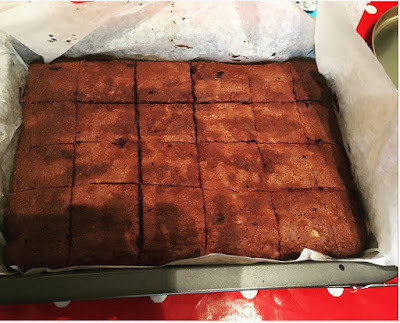 So here it is; chocolate and hazelnut brownie traybake! Mix all the ingredients together in the order given. Tip the mixure into the tray and spread evenly before popping the tray in the oven for 27 minutes. Leave to cool for about 5 minutes before using a skewer to make a few holes in the top of the cake. Brush the rum over the top of the cake and allow to soak in. Leave the brownies to cool before cutting them into (roughly) 24 pieces. Follow me on Twitter @aswarmastoastuk and on Instagram or like my As Warm As Toast page on Facebook.